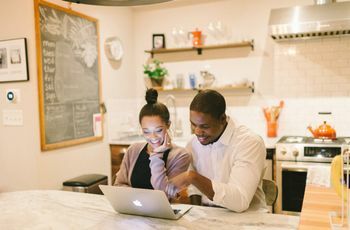 Carolina couples who need help finding their venue, booking guest accommodations, and basically everything else that goes into planning a Raleigh wedding are in luck! This go-to guide is an essential primer for North Carolina Triangle weddings. Raleigh weddings exude a certain Southern charm, no matter the venue or season. 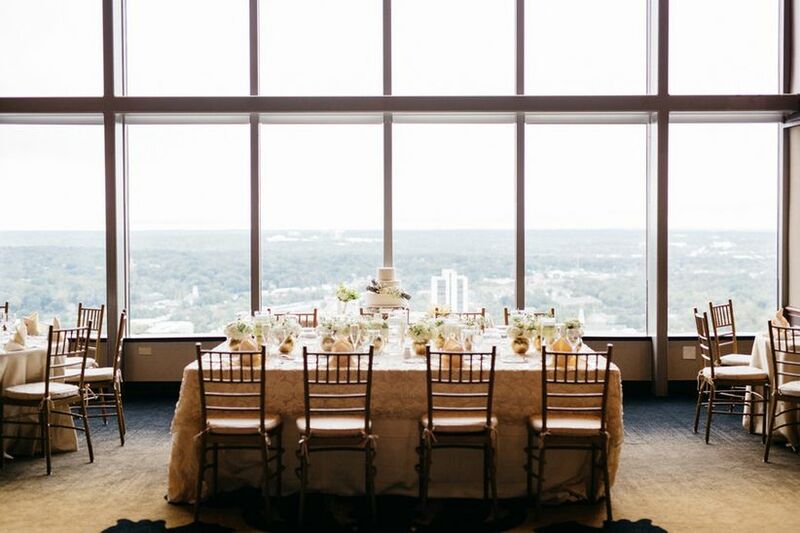 The North Carolina Triangle region is filled with romantic Raleigh wedding venues, fine dining restaurants, and plenty of hotel accommodations — making it a great spot for hosting all types of events. 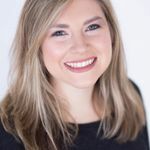 From formal soirées in downtown Raleigh to laid-back outdoor bashes right outside the city in Durham or Chapel Hill, this North Carolina capital creates an unbelievable setting for “I dos.” So, if you’re planning a Raleigh wedding and want to know the ins and outs of the area, we’re here to help. Here’s everything you need to know to plan the ultimate Raleigh wedding. Made up of three cities — Raleigh, Durham and Chapel Hill — the Triangle area is a great destination for North Carolina couples to host their special day. Raleigh, however, is the most popular choice for weddings because the Southern metropolis is filled with unique spaces for vows and celebrating. 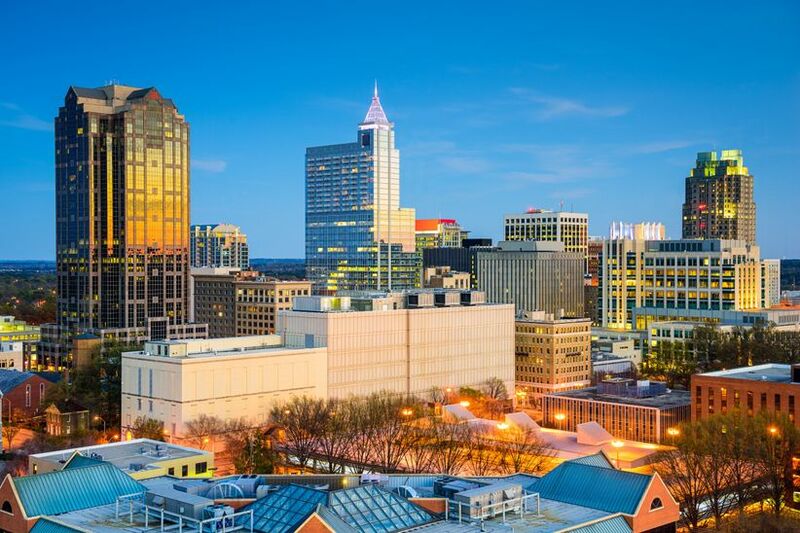 From gorgeous al fresco settings, to historic buildings that exude a cozy charm, to hip rooftops with skyline views, Raleigh really doesn’t disappoint when it comes to finding a wow-worthy backdrop. Durham and Chapel Hill are about an hour away from Raleigh and also offer up eclectic settings, like refurbished barns and swoon-worthy country clubs for couples to utilize. The Raleigh-Durham International Airport is the main airport that serves the Triangle region. It’s about a 20 minute drive from downtown Raleigh and is a popular choice for those traveling from out of state. However, this doesn’t mean all of your out-of-town guests have to purchase a flight to get to your Raleigh wedding. Located centrally on the East Coast, The Triangle area is an easy destination to get to by car and train, as well. Once you get into the city, Raleigh has plenty of methods of transportation. Local routes can be explored via several public bus systems, like GoRaleigh, and also free circulators, like the R-Line. The Triangle region is also served by GoTriangle, which is a popular bus service that runs in Raleigh, Durham, and Chapel Hill. Raleigh is a seasonal city with its summers being hot and muggy and its winters being short and very cold. 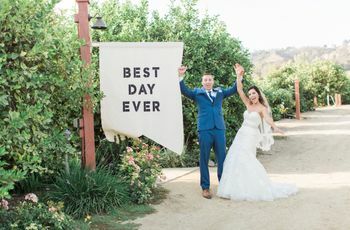 The best time to host your Raleigh wedding would be late spring or early fall to avoid any uncomfortable weather conditions. During these months the weather is warm and in the mid to high 70’s. Even though the summer months can reach in the 90’s, it’s still a popular season for couples to wed. Just make sure to have an indoor option or a shaded area for your receptions. If you’re hoping to have some snow on the ground during your nuptials, then definitely choose a date in January or February for your winter soirée. Like we said, Raleigh weddings are known for their array of stunning backdrops. Therefore couples of all wedding styles can easily find their dream venue in the Triangle region. For couples who’re looking for a rural setting, some of the area’s most rustic wedding venues are near Chapel Hill, North Carolina. Couples will find a vast amount of barns, open pastures and other unique settings in and around Chapel Hill that are all perfect locales for a country affair. Another popular place for a country chic bash would be Durham. 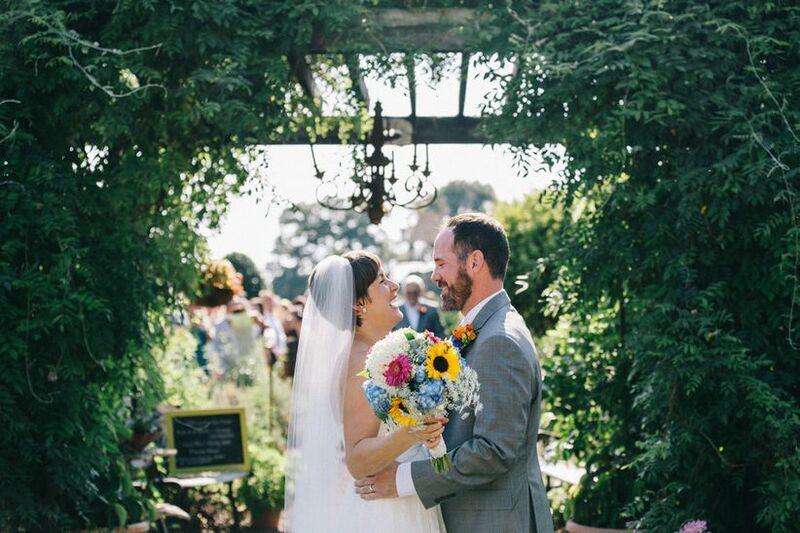 Durham wedding venues are known for their lush gardens and ethereal farm venues making it a great pick for an outdoor wedding. If you’re an urbanite looking for an event space that’s in the city, downtown Raleigh wedding venues are ideal locations. 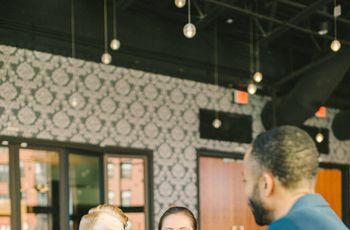 The Southern metropolis’ downtown area is filled with loft-style venues, charming historic buildings, and other trendy places for hosting a killer wedding reception. 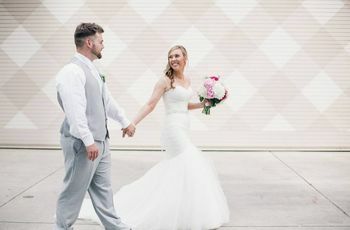 Raleigh weddings do require certain marriage laws in order for couples to be properly wed. Each state has different rules and regulations that have to be followed in order to obtain a marriage license before your wedding day. So, we suggest checking out North Carolina’s state marriage laws to ensure you have all the necessary requirements before the big day approaches. When planning a Raleigh wedding, it’s important to reserve hotel room blocks for your out-of-town guests. Not only do room blocks help your guests easily book a place to stay well in advance of your big day, but also lets all your guests stay at one place. Thankfully, Raleigh is filled with hotels that can offer room discounts and more. The city also has a ton of boutique hotels, historic inns, bed and breakfasts, and other rentals that guests can check into during their stay. These are a few of the best restaurants for your guests to grab something quick to eat or book a reservation for a sit-down meal. Known as the “Smithsonian of the South,” Raleigh is filled with free museums and historic attractions for your guests to check out during your wedding weekend.